Here’s a sub I whipped up from my freezer in 15-minutes. 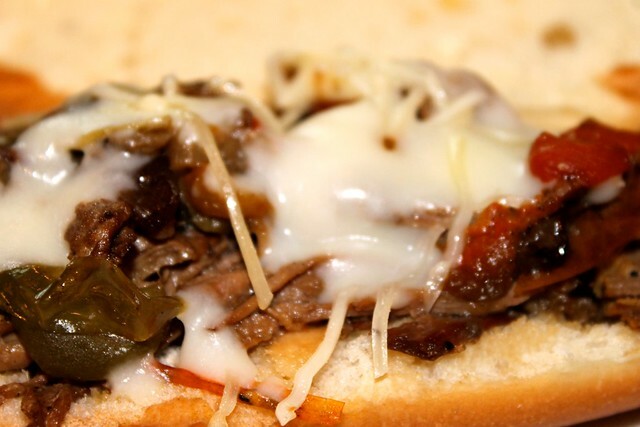 I’ve featured it before as a shredded beef or Italian beef sandwich, but I decided to add the peppers and onions while I cooked the meat. The end result was delicious. 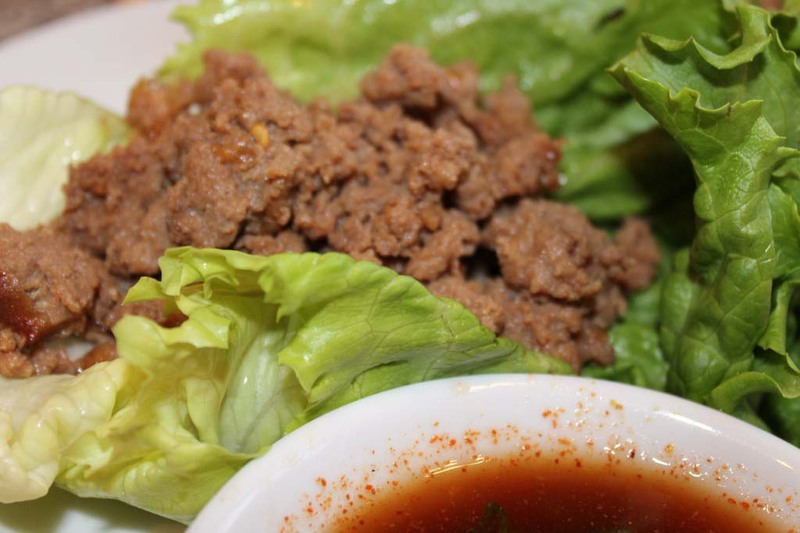 We enjoy ours on a toasted hoagie roll with mozzarella or provolone cheese and shredded lettuce. Here’s the easy crock pot recipe which I serve one night and freeze the rest. 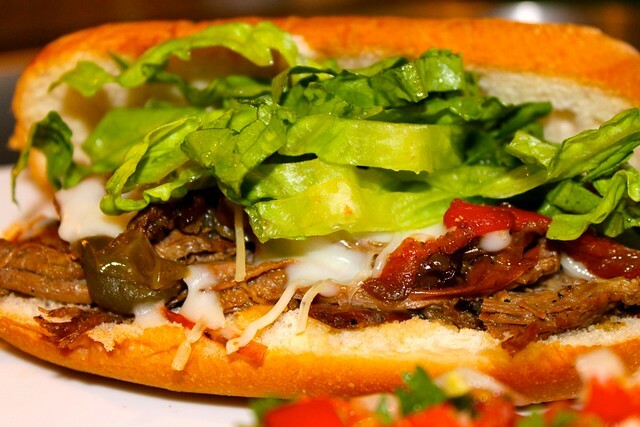 What’s your favorite way to eat a steak and cheese sub? 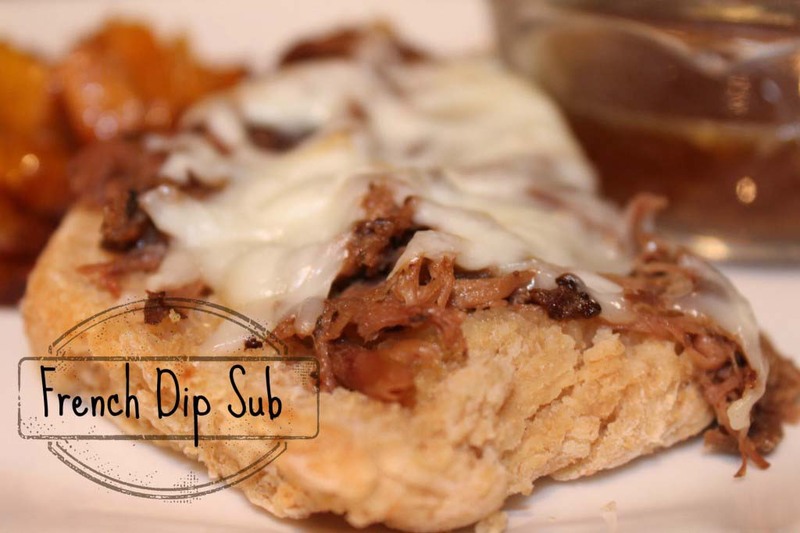 This entry was posted in 15 Minute Meals, Beef, Burgers + Sandwiches + Pizza + Wraps and tagged freezer Italian beef sandwich, freezer steak and cheese on 08.09.2011 by admin.